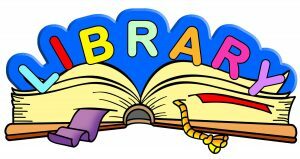 Volunteers are needed to read to our Kindergarten, 1st, 2nd, and 3rd grade students during their library checkout times. Please sign up at http://signup.com/go/EUfUdvk. Also, volunteers are always needed to help re-shelve books. If you are interested in helping with this, please contact Debbie Kummer at deb.kummer@sbcglobal.net or 708-263-7646.